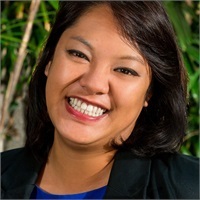 Tammy Lee | Penniall & Associates, Inc.
Tammy joined Penniall & Associates in 2014 after working for F500 Advisory Services in their Operations & Financial Planning departments for 9 years. Tammy graduated from the University of California, Irvine and as a CERTIFIED FINANCIAL PLANNER™ professional, she is committed to helping clients assess their financial health and working together to meet their future goals. Tammy holds the Series 7 and Series 66 securities licenses. Certified Financial Planner Board of Standards Inc. owns the certification marks CFP®, CERTIFIED FINANCIAL PLANNER™ and federally registered CFP cfp.png in the U.S., which it awards to individuals who successfully complete CFP Board's initial and ongoing certification requirements.